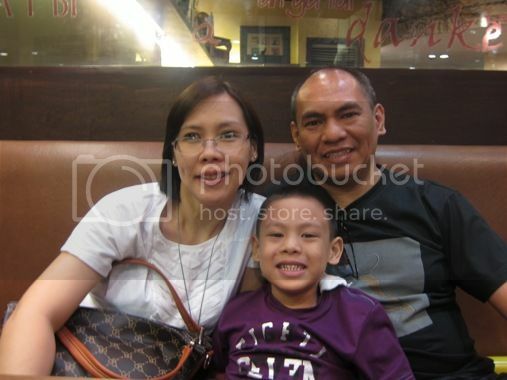 We first dined at Bigby’s in 2009, and we really liked their food. This made us consider Bigby’s as one of our favorite places to eat. We were there last Saturday, and as usual, we had a very good time. Those who love cheese and garlic should really try this! They’re yummy! I loved the smoky pork belly; it was tender, and the meat was so tasty. The grilled rodeo chops were delicious, too. It didn’t take us long to finish what we ordered, and we all left the place feeling satisfied. 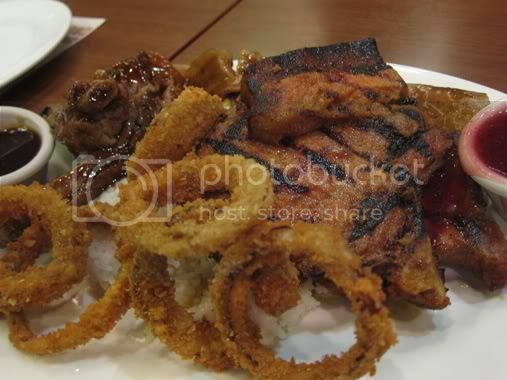 This entry was posted in Filipino Cuisine, Food Trip Friday, International Cuisine, Restaurant Review, SM Megamall. Bookmark the permalink. can i have free quesadillas? loved it. thumbs up for the little boy who loved onion rings. i first dined at Bigby’s in Ayala-Cebu…it’s my [Cebuano] friend’s fave and he would take me there when were in the mood for grilled meats. i was at their Megamall branch not too long ago. 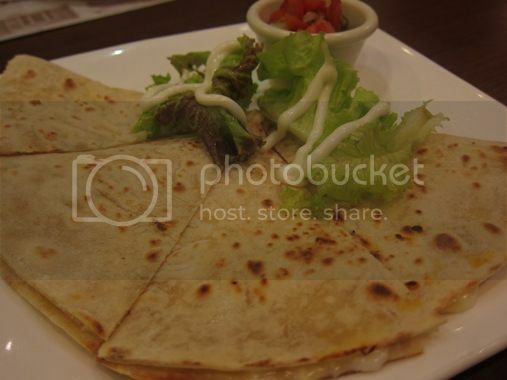 the quesadillas look yummy. The Onion rings look so crispy! baby back ribs in bigby’s the best..
it costs much for a meal but it looks yummy. wanna try Bigby’s sometime. sorry for the late visit! I haven’t been to Bigby’s, the food looks great!